The rent at The Addison Apartments ranges from $1,245 for a one bedroom to a $1,725 three bedroom. Apartments in this building are about 5% more expensive than the Ogden average. This is a pet-friendly apartment. This apartment is in the Ogden neighborhood in Vancouver. Nearby parks include Baseball Fields For Little League and Bagley Park. The Addison Apartments has a Walk Score of 55 out of 100. This location is Somewhat Walkable so some errands can be accomplished on foot. 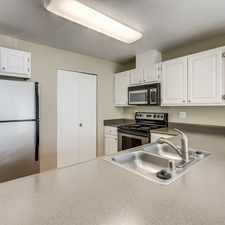 Welcome home to The Addison Apartments, a pet-friendly apartment community offering updated one, two, and three bedroom apartments in Vancouver, WA. If youve been looking for a spacious home in a tranquil neighborhood with easy access to the best of Vancouver, look no further. Explore how far you can travel by car, bus, bike and foot from The Addison Apartments. The Addison Apartments has some transit which means a few nearby public transportation options. Car sharing is available from RelayRides. The Addison Apartments is in the Ogden neighborhood. Ogden is the 17th most walkable neighborhood in Vancouver with a neighborhood Walk Score of 46.